Buying a mountain bike is much easier than it used to be, but you still can’t just walk into a store and pick one out. 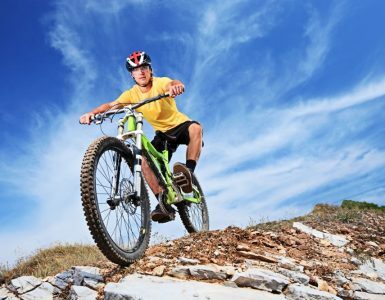 There’s different types of mountain bike, and they’re suited to different types of riding. You’ll need to know what kind of bikes are out there before you pick one out for yourself. 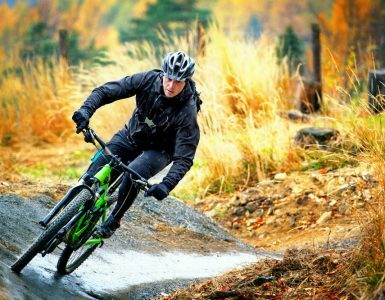 Here the most popular different types of mountain bikes explained to you to give you a better understanding. This bike is designed for speed above all else. They’re the one to pick if you want to get somewhere fast, or even start taking part in races and competitions. A cross country bike typically has a lighter frame and components, to help you keep up speed. They’ll have fast rolling tyres too, as well as rear suspension movement that can handle the odd rock or root, so you can keep moving. They’re very popular in the affordable end of the market, and if you’re looking to let loose on the trail, these are for you. This bike is best ‘all rounder’ that’s on offer to a beginning mountain biker. 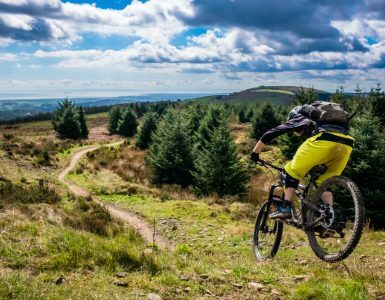 You may be simply meeting up with friends to do climbs and descents on the trail, or just getting started with mountain biking as a whole. If this sounds like you, the trail bike is what you want to be looking for. These bikes should have good front suspension that will help you tackle a variety of terrains with ease. If you’re looking at spending more than £1000, then you can get a bike with rear suspension too for that extra comfort on rides. The fat bike is characterised by its oversized tyres that are perfect for going out in all terrains and weathers. Whether you’re looking to bike in the snow or sand, fat tyres are something you really should be looking into. They make the terrain much more forgiving, so you can get around without any problems. A ‘fat tyre’ is usually around 3.7 inches to 5+ inches wide, so if you’re shopping around keep these measurements in mind. The all mountain bike is designed for some of the more punishing trails and rides out there. If you’re into climbing hills and skidding down steep drops, this is the bike you want to be looking into. They’re sturdy, well made, and built to withstand more punishment. Lots of technical features make these bikes harder wearing and ready for action. These include telescopic dropper seat posts that help you use your weight to keep the bike in check when needed, and lowered frames for high speed stability. This bike is designed to be used at lift assisted mountain bike trails. You’ll ride these bikes down some of the steepest and highest slopes, and often you’ll have to wear protective gear to do so. This includes full face helmets and body armour to stop anything you encounter in its tracks. The bikes are big and tough, as they’ll take a beating every time you ride them.If you live for the challenge, this is the bike for you. A dirt jump bike is designed to be used in specially made jump parks, and so they’re not quite mountain bikes as you’d think of them. Instead, they’re essentially bigger and tougher BMX style bikes that can help you pull off all kinds of jumps on them. Now you know what kinds of bikes are out there, you need to get out there and find the bike that fits your needs. First of all, you’ll need to think about how you’ll use the bike. Are you looking for a bike that’s built for speed, or something that’s better at climbing? Maybe you want something that’s lightweight, or a bike that can take a lot of punishment. This will inform which kind of bike is right for you. Don’t be afraid to ask the store staff for their opinion. They’re trained to help you find the right bike, so ask them what they think. They’ll ask you some detailed questions about how you want to use your bike, and they’ll guide you to a bike that matches your needs. Price will play a factor in which bike you buy. You want to save as much money as you can, but you don’t want to go with the cheapest bike out there. There’s plenty of bikers who’ll tell you they bought the cheapest bike and wore it out within three months. They’ll say, don’t buy cheap, buy what you need. This is why it’s important to do your research. What do you really need from that bike? When you go shopping, you’ll be able to pick out a model that has what you need, and save cash by not buying a model that has all the bells and whistles that you’ll never use. Now you’ve considered all these options, you’ll now be wondering whether you should go with the men’s or women’s version of the bike! There’s no hard and fast rule that you should buy the bike that goes with your gender. The biggest differences are the saddles shapes, and shorter handle bars. Women’s bikes can often be lighter, as it’s assumed that women on average are lighter than men. Try a few different bikes out, and buy the bike that’s most comfortable for you. This guide shows just how many bikes there are on offer to you. 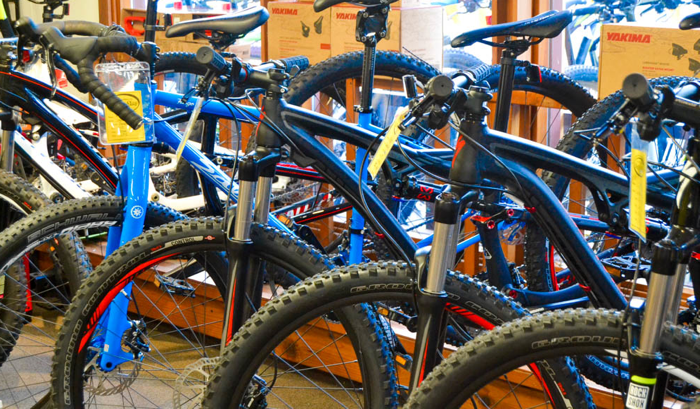 Not every mountain bike is built alike, so you’ll need to do some shopping around to find the one that suits your needs. Don’t be afraid to ask questions, and take your time in picking out a new mountain bike.